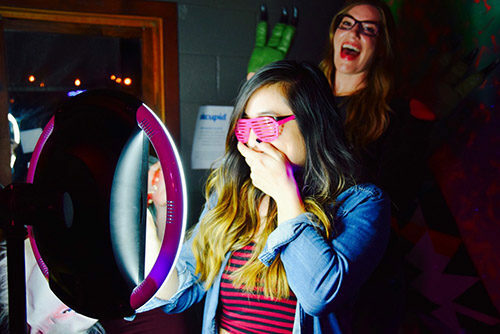 MYEVENTISTHEBOMB will change the way you think about photo booth rentals forever. 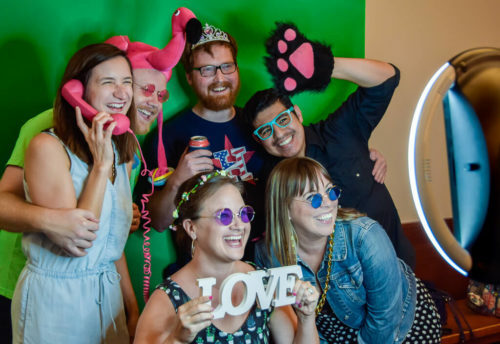 Here are the five things to know about how we promise to make your event the BOMB. Every event is unique, that’s why we design a new theme for for every activation. 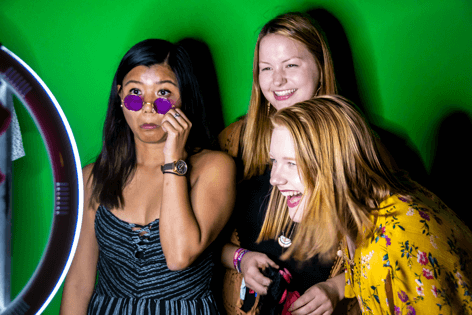 From the first screen that draws guests in, to the pictures that guests share online, and the online gallery they’re hosted on – everything is tailored to the look and feel of your event and brand. We set up on time, tear down discretely and take care of everything in-between with extreme attention to detail. Our professional brand ambassadors can even represent your brand at the event and follow any speaking notes you have for them. 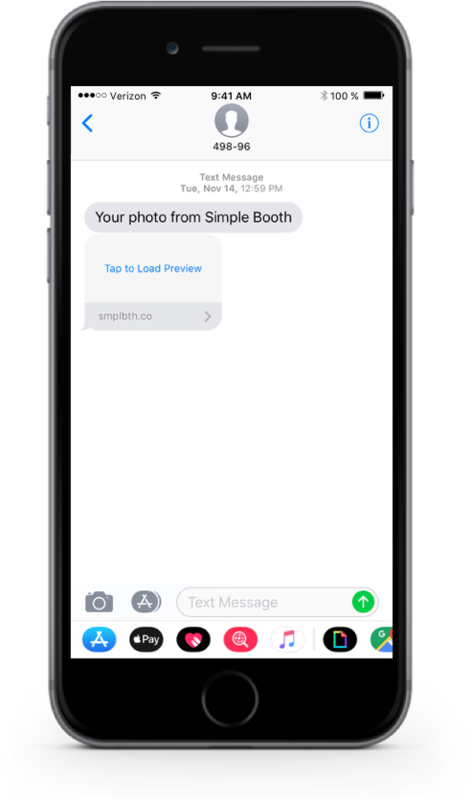 Guests receive photos straight to their phone immediately with easy sharing options to Facebook, Twitter and Instagram. 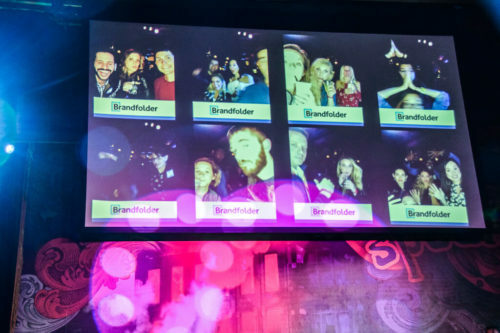 Guests’ posts includes the title, description, hash tag and branding from your event. 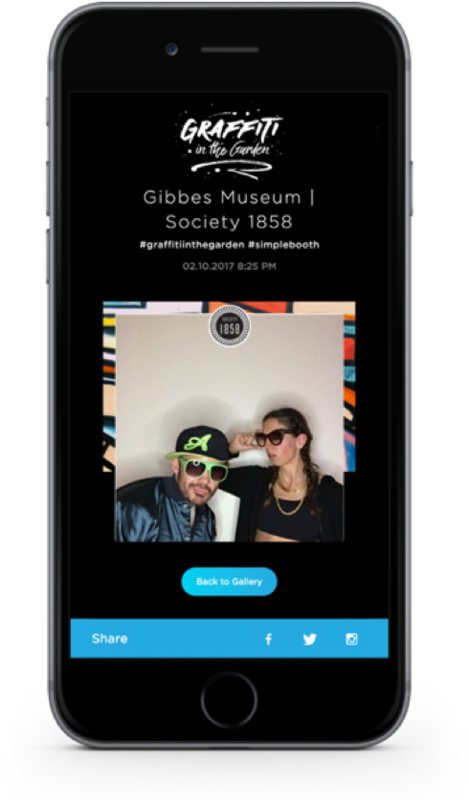 Plus, your guests can link all their photos from past events in the Simple Booth mobile app for infinite reliveability. It’s easy for you to share the fun, too. 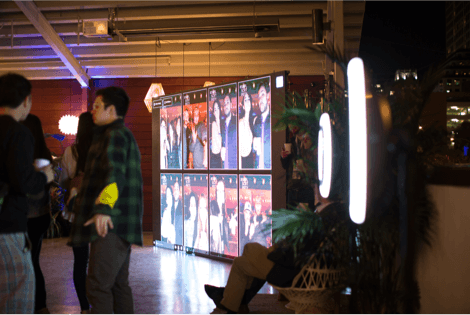 Every photo activation comes with a real-time online gallery that you can post to social to extend the reach of the event. 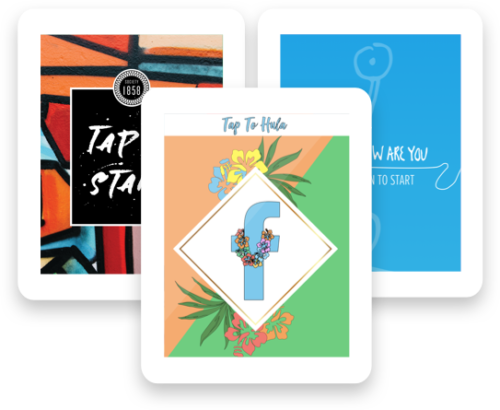 The gallery includes custom banners and links that point back to a website of your choice. 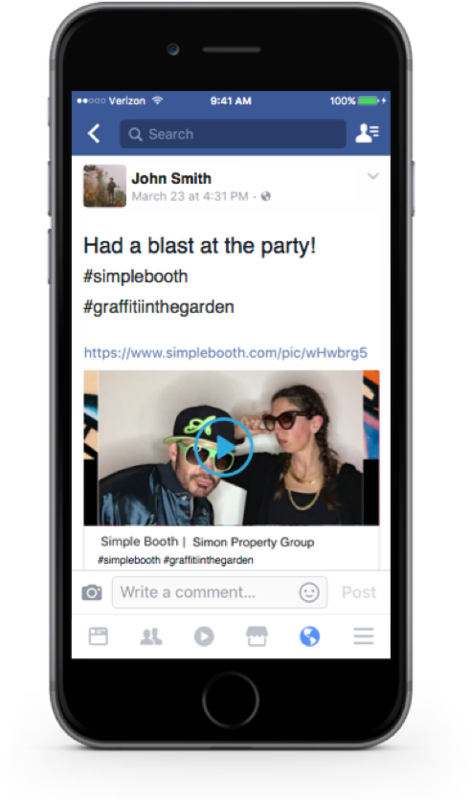 After the event we’ll send you a report so you can see how many people participated in the activation and the social buzz you generated online. Plus, you’ll have the online gallery with all the photos in it. 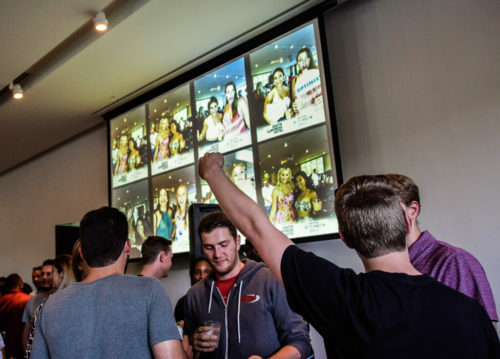 Energize your venue by featuring your guests on the big screen in real-time. The Live Feed can be customized to show unlimited number of full-screen slides between photos. 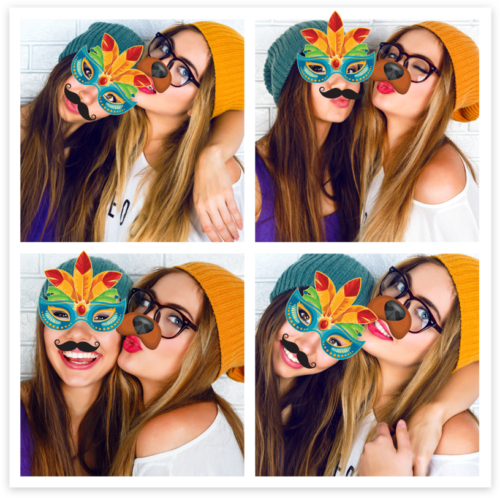 If you’re throwing an early 2000’s party or just dig the idea of a physical take-away, we’ll hook you up with traditional photo booth prints. 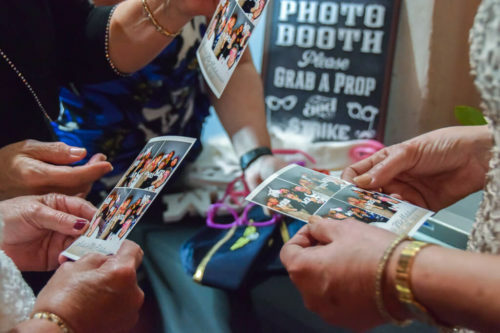 You can mix and match prints with animated GIFs or go full-on vintage photo strip style for the whole event. Can’t decide on just one background? You can have them all with green screen! Transport your guests with a selection of background images unique to your event. 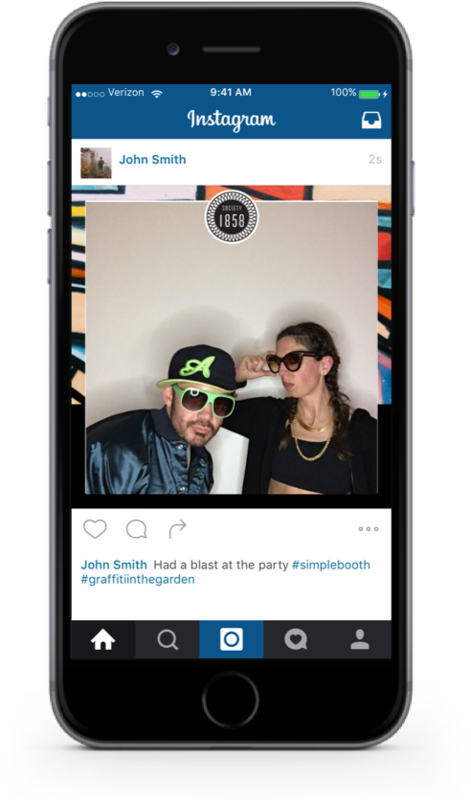 Our high-tech digital props feature is like having Snapchat filters in your photo booth! 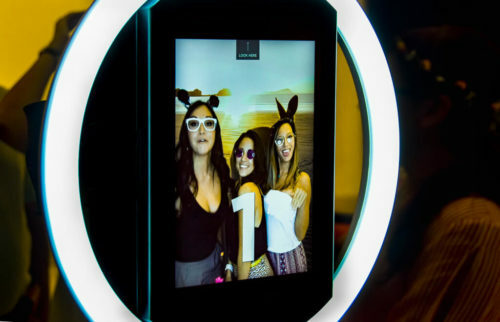 Using the latest in computer vision technology, guests can apply one or more props to their faces that will follow them on moving or still images.